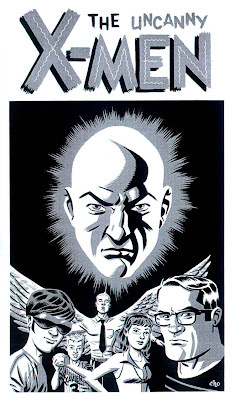 I came across this super cool image of the first five X-Men (plus the Professor, natch!) a while back and had to share! You can see it colored in red on Michael Cho’s blog here.